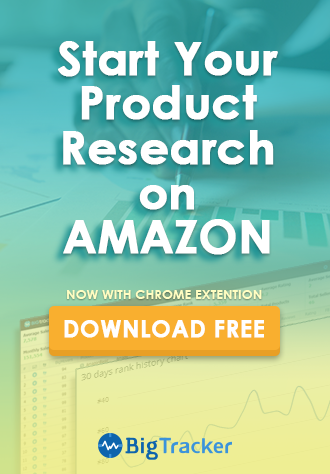 Buyers open their browsers, visit Amazon, type in their desired purchase, and find a page that offers their searched item. However, no specific seller is named (sellers are only inconspicuously linked to that page). No page showing price wars and listing competitive asking prices for that item. In fact, that page looks just like a fancy online retail store. Okay, now what? Well, the buyers unwittingly notice in the right corner of their eyes a highlighted box. 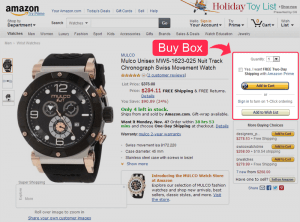 The emphasized box reads “Buy New:” with a big, eye-catching “Add to Cart,” button, and they’re inclined to obey. Click! In a fraction of a second, Amazon processes the item for checkout, and the buyers irresistibly agree because they feel delighted to have completed their task so quickly. No delay, no second-guessing for countless buyers. Seems swift and easy as jelly. THAT is the Buy Box. It is 1849. It’s the gold-rush. It’s the express-lane for Amazon. Unfortunately, the opposite is true for sellers. They’d prefer the airport security line to the Buy Box line. Getting into the Buy Box is a privilege and an exceptional feat. Because it is so competitive, it feels like the longest line with no end in sight. 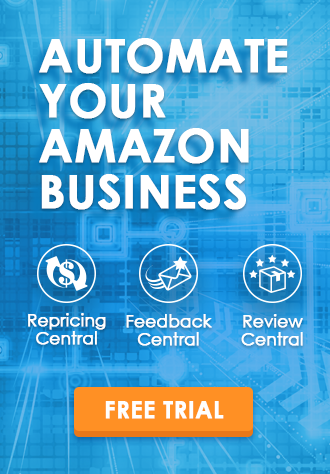 Merchants on Amazon know it’s the hottest marketing tool for their business, and they all want a piece of the action. It’s virtually the holy grail for Amazon sellers. And what about the ‘More Buying Choices Box’?